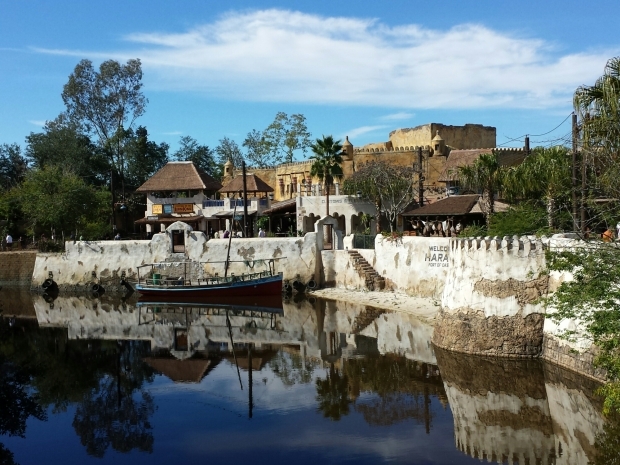 Started the morning off roaming around the Epcot Resort Area. 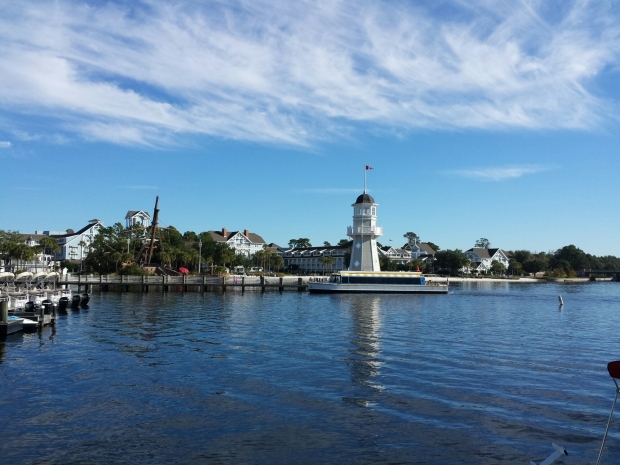 Looking at the Yacht Club from the pier. The last morning is always a bit depressing. Packed up and while waiting for the rest of the group to do the same I went for a walk. Strolled out to the water and then hopped on a Friendship launch to the Swan/Dolphin. 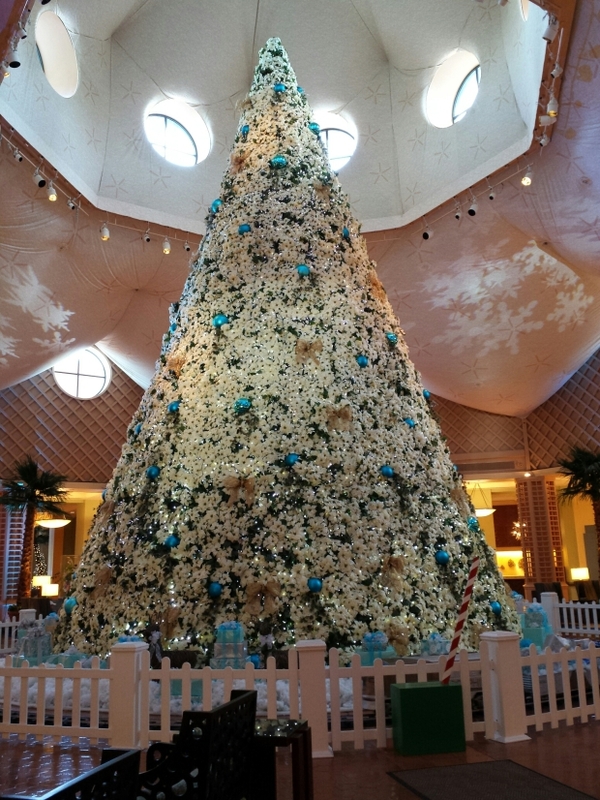 Went into the Swan and took a look at the chocolate display then walked across to the Dolphin and saw their tree, train and sugar showpiece. 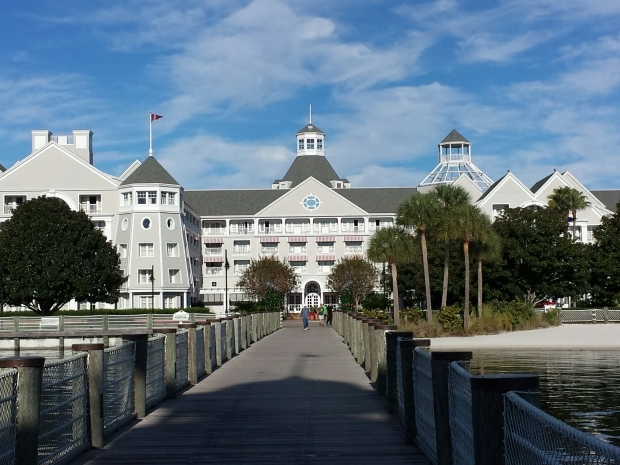 Then I walked passed the Yacht Club and back to the Beach Club to my room one last time. Grabbed all the bags and went to the airline check in for the suitcases then bell services for the carry-ons. 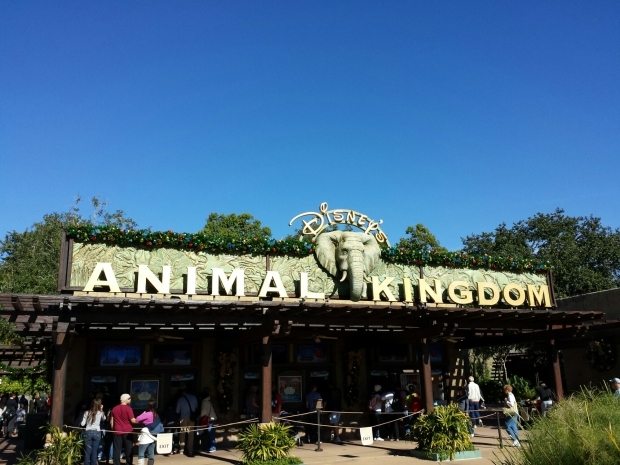 Then headed for the bus stops and the Animal Kingdom. Made my way out to the Safari for one last trip. Once back walked out to Pangani, but no sight of the babies yet, still too cold out. 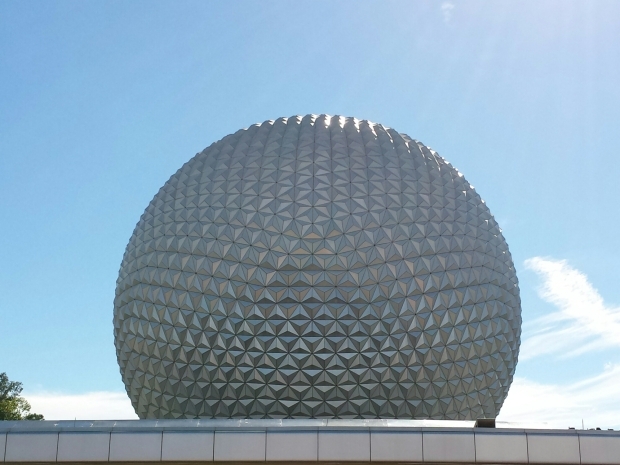 Went for lunch at Pizzafari then made my way to the bus stop and over to Epcot. Boarded a Monorail to the Transportation and Ticket Center then Ferry boat to the Magic Kingdom. Took the WDW Railroad to Fantasyland then walked to Tomorrowland and went for a trip on the People Mover. Once back made my way to Main Street then back to the bus stops. Returned to the Yacht Club, picked up my carry-ons and waited for the Magical Express bus. Then off to the airport and home to wrap up this trip. 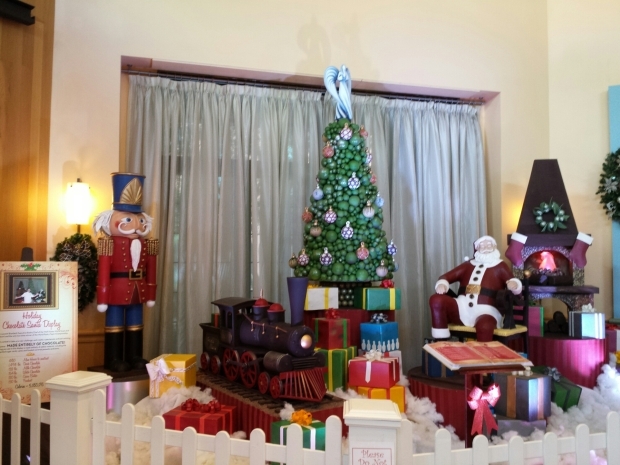 The Holiday Chocolate Santa Display at the Swan hotel. 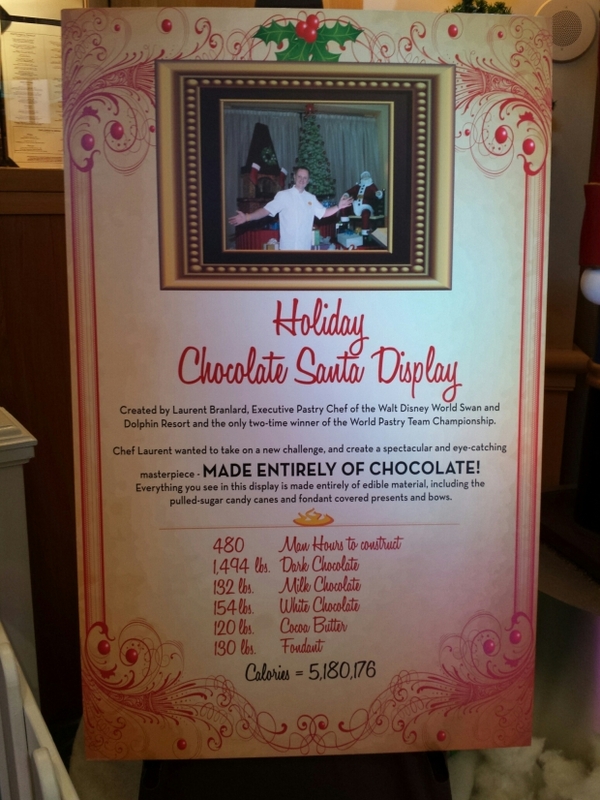 Ingredients/stats on the Holiday Chocolate Santa Display at the Swan Hotel. 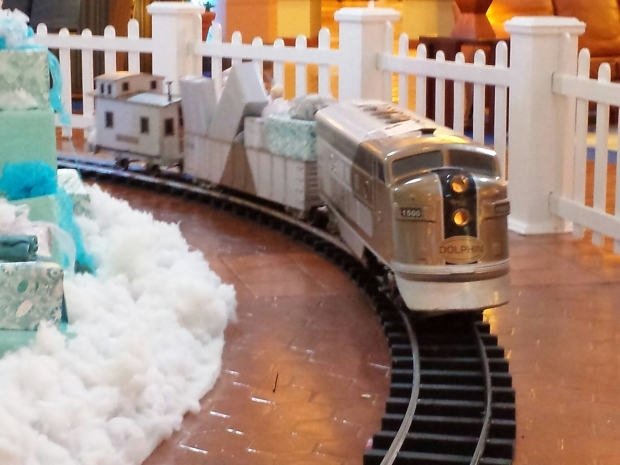 A train around the the tree in the Dolphin hotel. 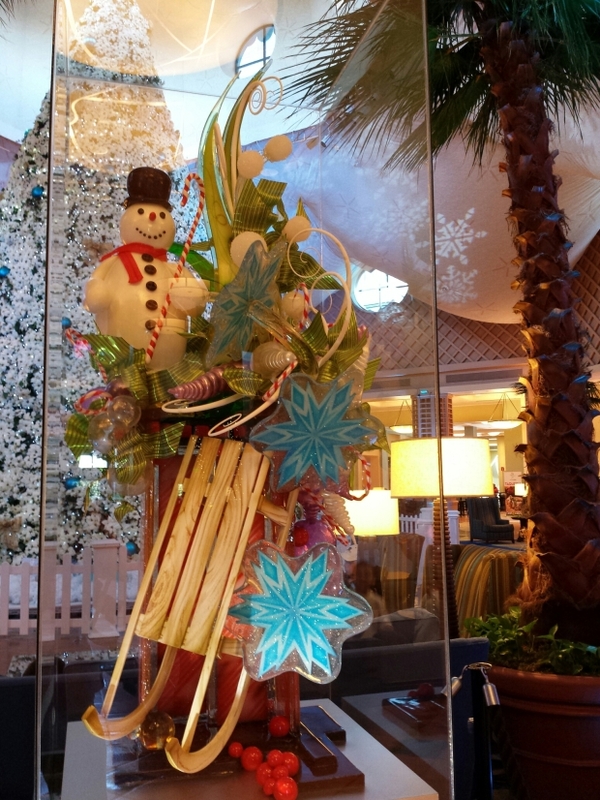 A sugar show piece display in the Dolphin Lobby. 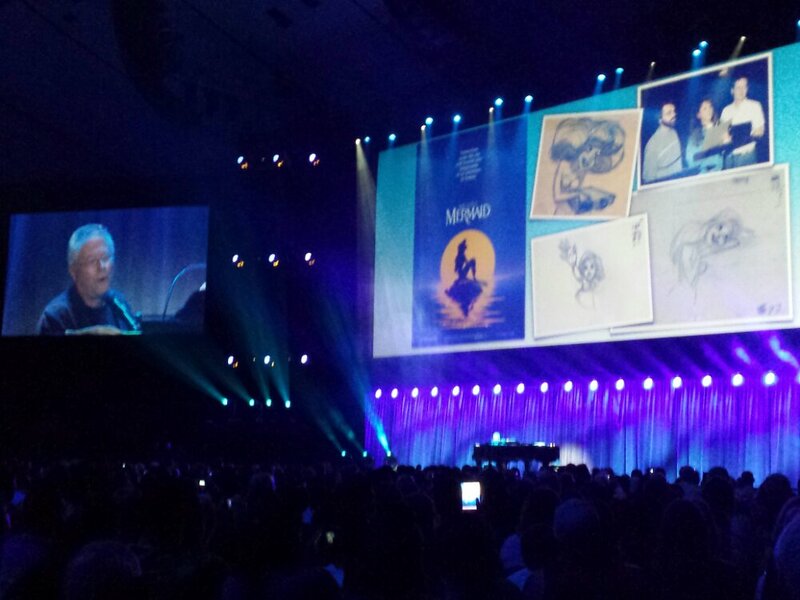 Here is an archive/listing of the live pictures posted to the blog today. 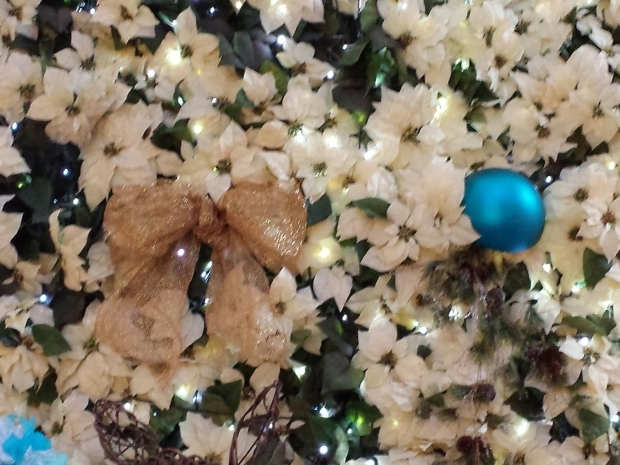 Be sure to follow along for more pictures in the coming days or like our Facebook Page or follow on Twitter. 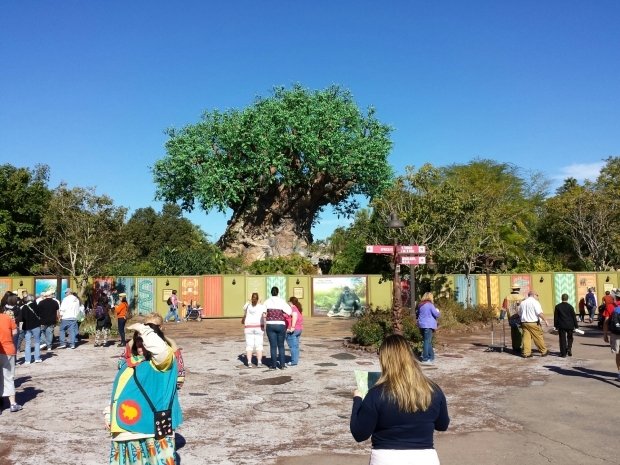 First park this morning, Disney’s Animal Kingdom. 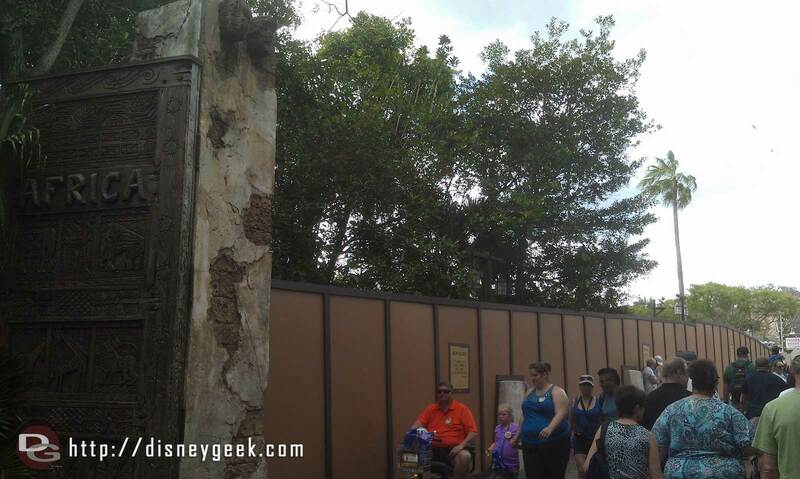 This area seems so much more open now, even with the walls. 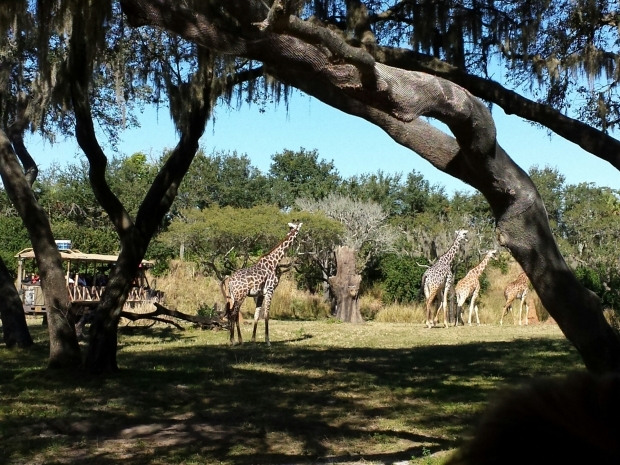 Giraffes on the Kilimanjaro Safari. 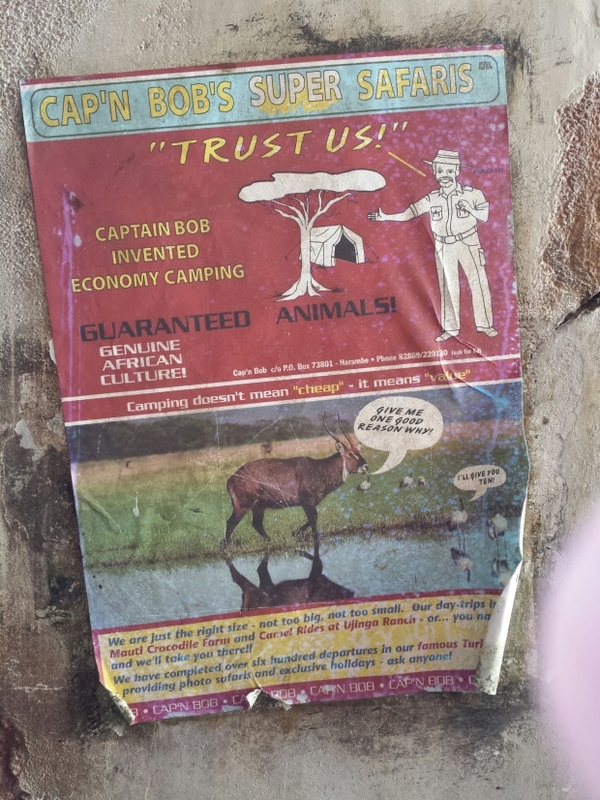 A poster/ad in Harambe.. does Bob look familiar to you all? Next stop Epcot. 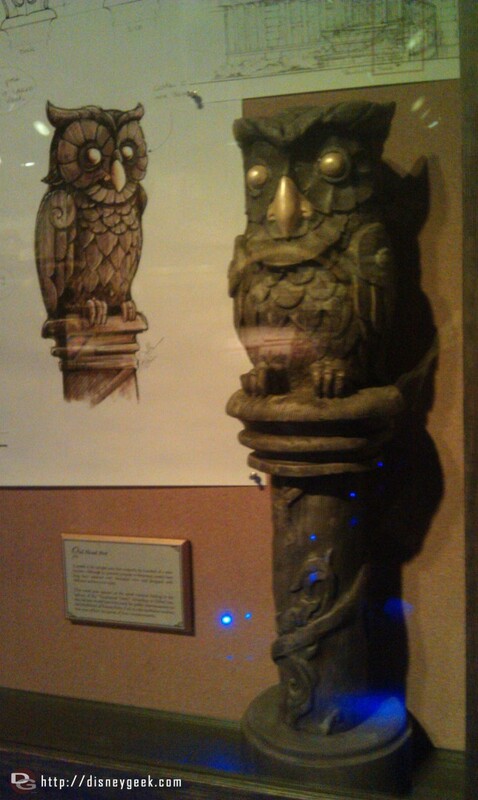 One last Spaceship Earth picture. 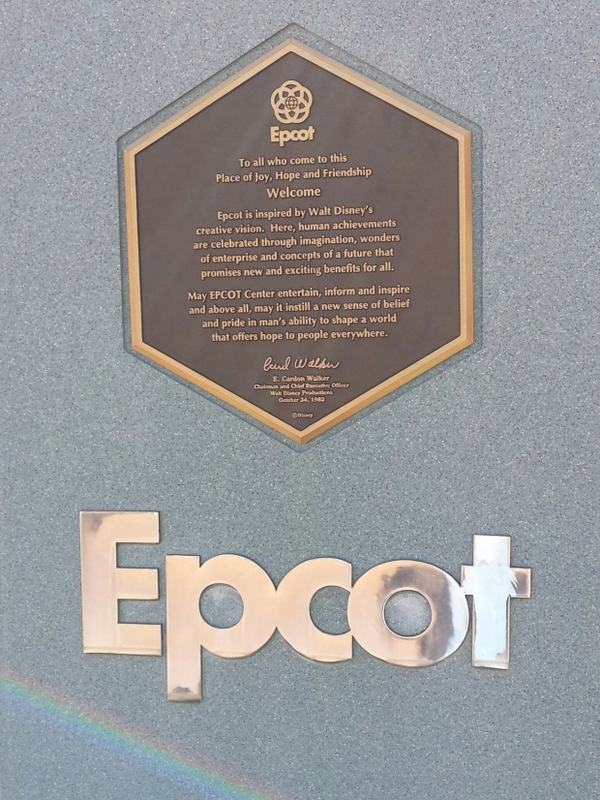 Walked by the dedication plaque for Epcot so had to take a picture. 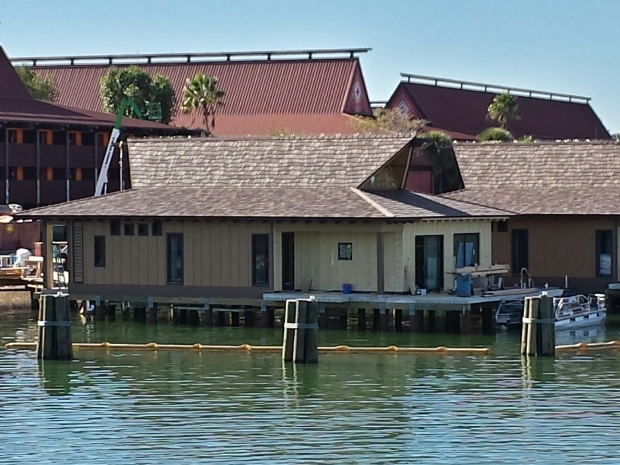 A Polynesian bungalow under construction, taken from the Magic Kingdom ferryboat. 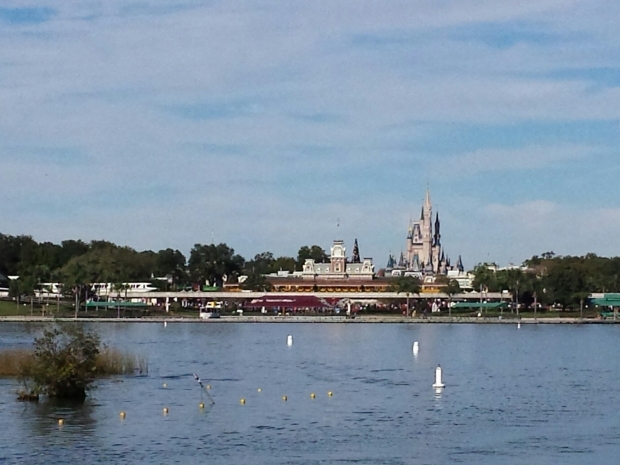 Always an impressive and fun view to approach the Magic Kingdom by Ferry.. I highly recommend this to first time visitors. Unfortunately with the Disney buses dropping you off at the park now most do not experience this. 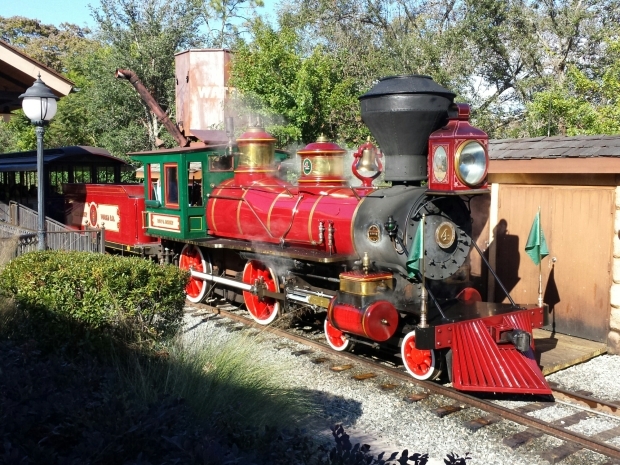 The Walt Disney World Railroad Roy O Disney engine preparing to depart Fantasyland. 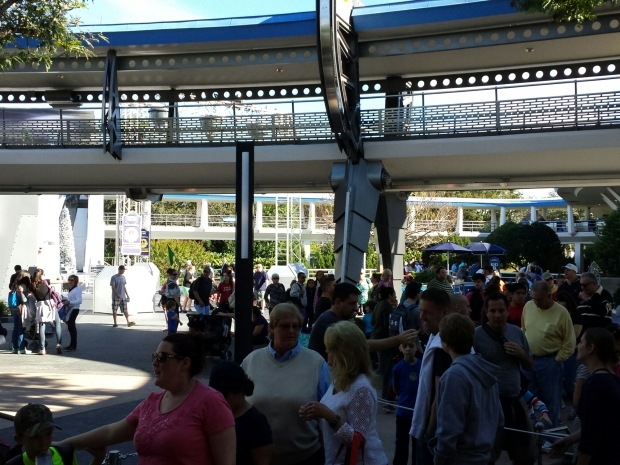 A line for the People Mover today… took about 10 minutes. The CM with the green flag is the end. 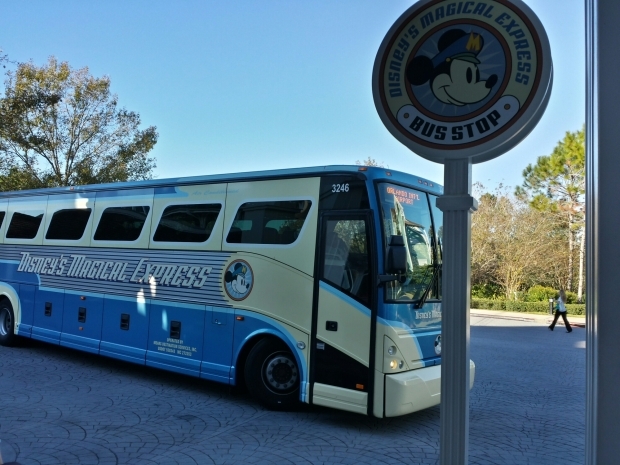 Wrapping up my trip.. time to board the Magical Express bus. My summary page for this trip. 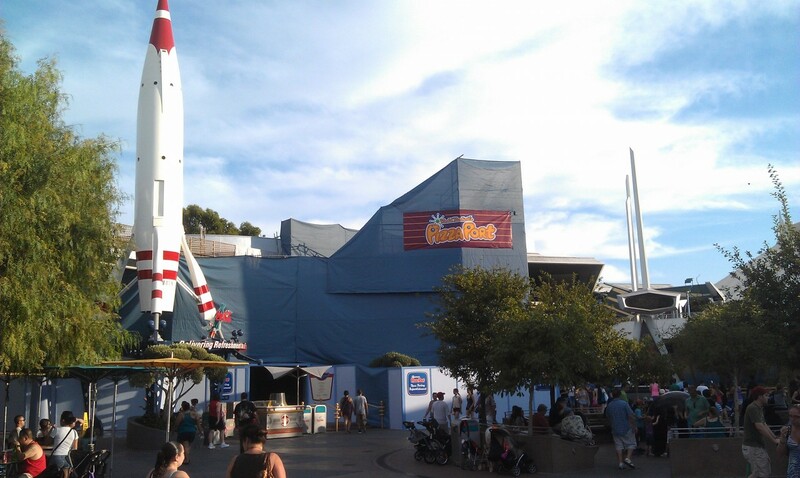 Pizza Port has reopened, as work continues on the facade.